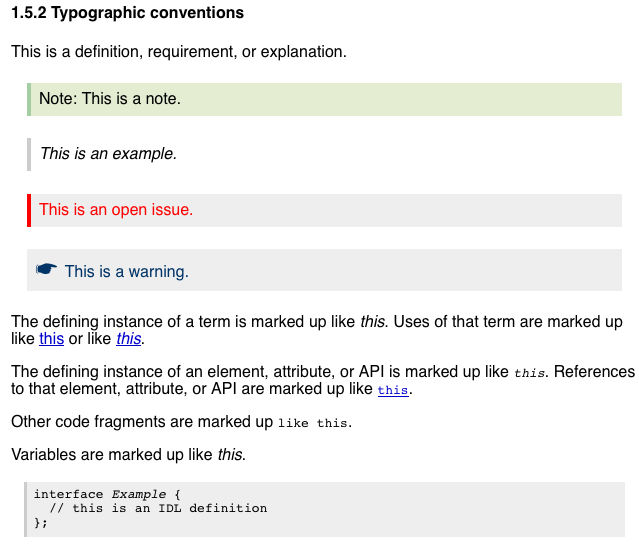 > /StyleSheets/TR/W3C-ED plus local changes would be acceptable? I have forgotten to do so. If Ian Jacobs wants to do it, that would be cool. Next message: Robert J Burns: "Re: Style sheet for W3C version of the spec"
Previous message: Cameron McCormack: "Re: Style sheet for W3C version of the spec"
In reply to: Cameron McCormack: "Re: Style sheet for W3C version of the spec"
Next in thread: Robert J Burns: "Re: Style sheet for W3C version of the spec"
Reply: Robert J Burns: "Re: Style sheet for W3C version of the spec"
Reply: Ian Jacobs: "Re: Style sheet for W3C version of the spec"